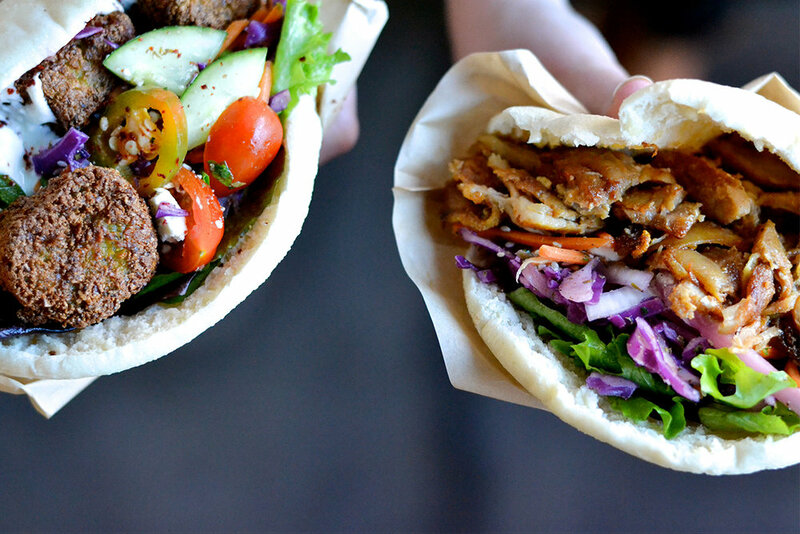 Located on Granville Street, DÖNER STOP is Vancouver's one and only restaurant serving Berlin Style Döner Kebab. DÖNER STOP BERLIN DÖNER - From the streets of Berlin to our little shop on Granville St, Vancouver. We bring you Germany's culinary treasures - the döner - enjoyed by millions each year. We make everything we can in-house. With high quality meats, made-to-order falafel, and fresh-cut produce, we create healthy, colorful, and flavorful cuisine that’s light in your heart and in your stomach. Served with choice of spreads, vegetable toppings and sauces. Served with up to 4 vegetable toppings, spread and special doner sauce. Served with fresh rice, 2 dolmas, choice of spreads, vegetable toppings, and sauces. Comes with a fresh pita bread. Create your salad with choice of vegetables, spread and housemade salad sauce.